Founded in 1990, the owners and key employees at Gabriel Garage Doors are all lifelong residents of the area. We support our local street hockey program, our local volunteer fire departments, the PAL organization, and various charities including the American Lung Association, National Wildlife Foundation, and Toys for Tots. 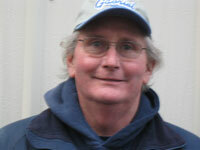 Mickey Gabriel is now in his 28th year in the overhead door and opener business. 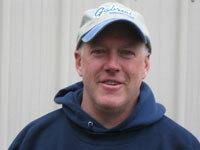 “With 24 years at the helm of Gabriel Garage Doors, Inc. I still look forward ever day to getting our guys ready to serve our customers to the best of our ability and to give our customers the best service. And I would just like to thank all our customers for choosing us and welcome our future ones as well”. 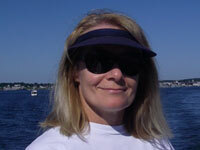 Chris Gabriel is now in her 24th year in the business and is our data entry specialist. This is an important behind the scenes post that makes sure all the names and numbers are correct and at our disposal. Important work to be sure. Chris and Mickey are married and live locally. Ray joined us in 1998 and is in his 20th year at Gabriel Garage Doors, Inc. As an IDA certified installer Ray has grown into one of the most knowledgeable garage door guys around. He is now moving into the next phase within the company as daily operations manager. So, you will be hearing from Ray much more as we move forward. Ray is married with 2 children and lives locally. 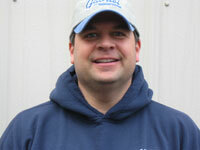 George is now in his 15th year with Gabriel Garage Garage Doors, Inc. He has become a true professional as his IDA certification can attest. George‘s sharp mind and good skill set has been a valuable addition for us. George is married with 2 children and 4 grand children and lives locally. Chris joined us in October 2012. He brings 25 years of carpentry and general construction knowledge with him. This certainly broadens our skill set so we can offer more to our customers. Chris has taken to our type of work with ease. Chris is married with 4 children and lives locally. Tom joined us in October 2012. 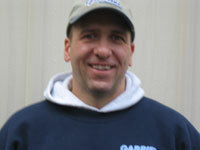 He brings 5 years on carpentry experience with him and has been a quick study of what garage door installers do. Tom is married with 4 children and lives locally. 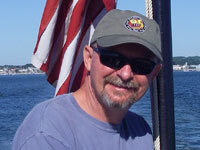 Our owner, Mickey, is an IDA certified trainer of technicians. All our technicians are IDA certified or working towards certification. Certification from the International Door Association means you will be working with professionals who meet our industry's highest standards. Your garage door is an important part of your home or building and a system you rely on. Rely on us to make sure it's installed right and working correctly.